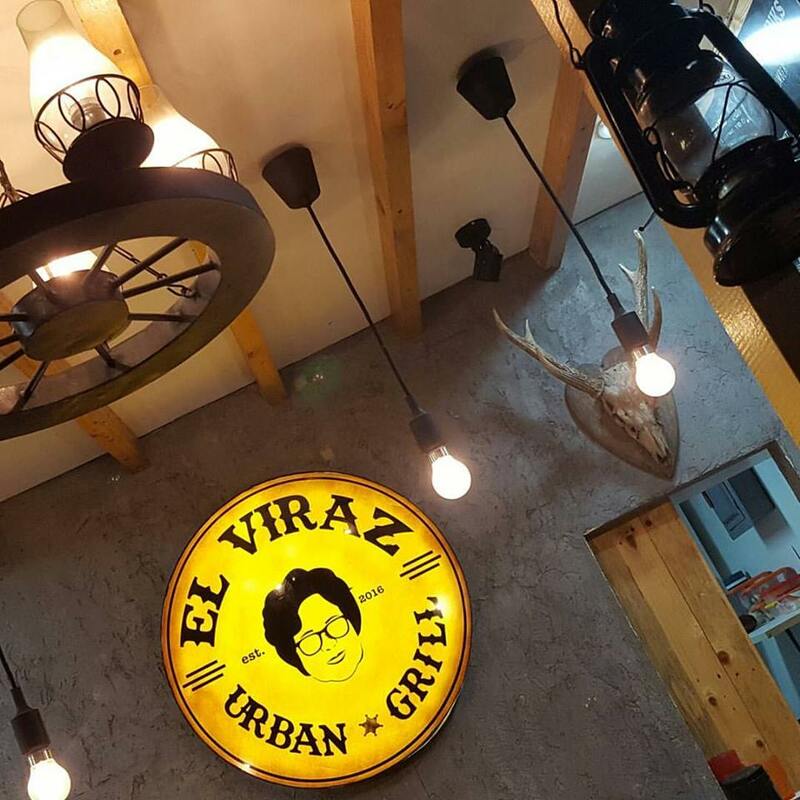 The craze on Food Parks is now widespread and Marikina is the place that offers an array of food stalls. 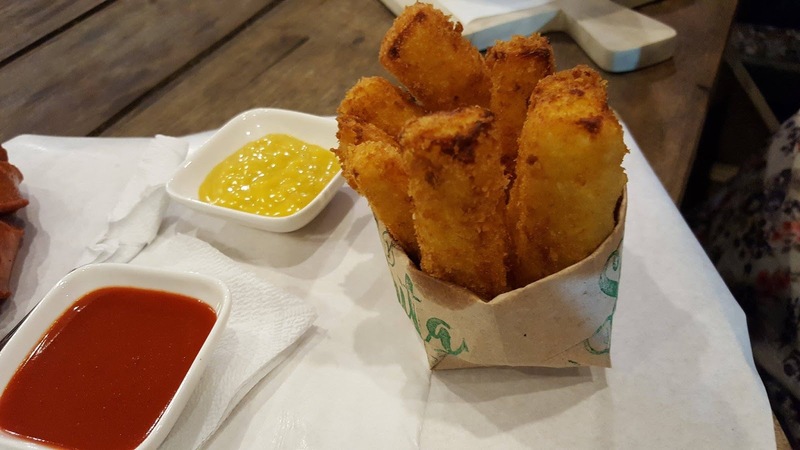 #Foodtrip Marikina is the newest food park that caters delicious food at an affordable price. 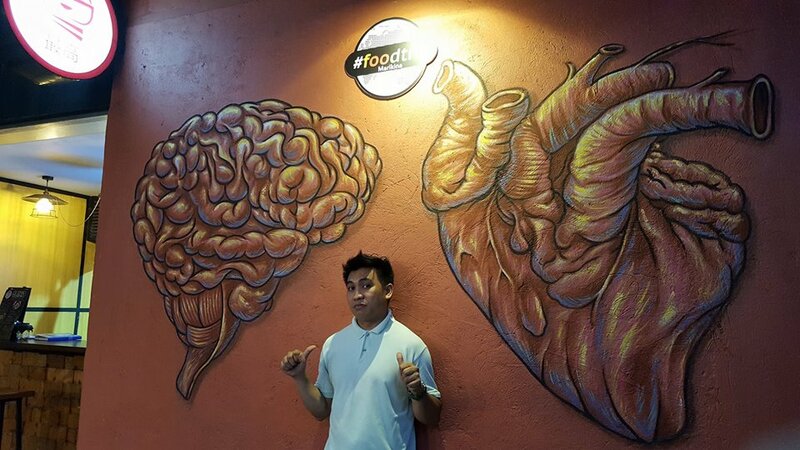 #Foodtrip is well-lit and ventilated unlike other food parks that can be a bit congested. When we first arrived at the location the first thing that I noticed was the huge tree in the middle with the name of the food park. For the generation X and Xenialls, it will remind you of Batibot. The design of the whole park is like a maze with its cobbled stone steps plus it has picturesque wall art. The tables are wide space apart so it is easier to move plus it has umbrellas for those unexpected rainy nights. 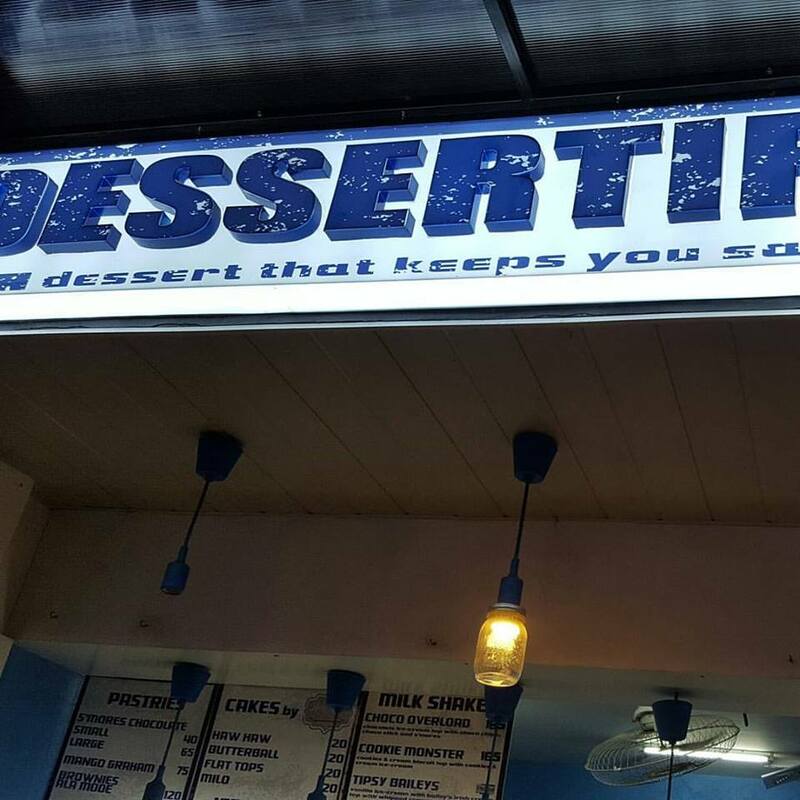 The name itself is derived from Mrs. Sonya who is the wife of the owner of the stall. 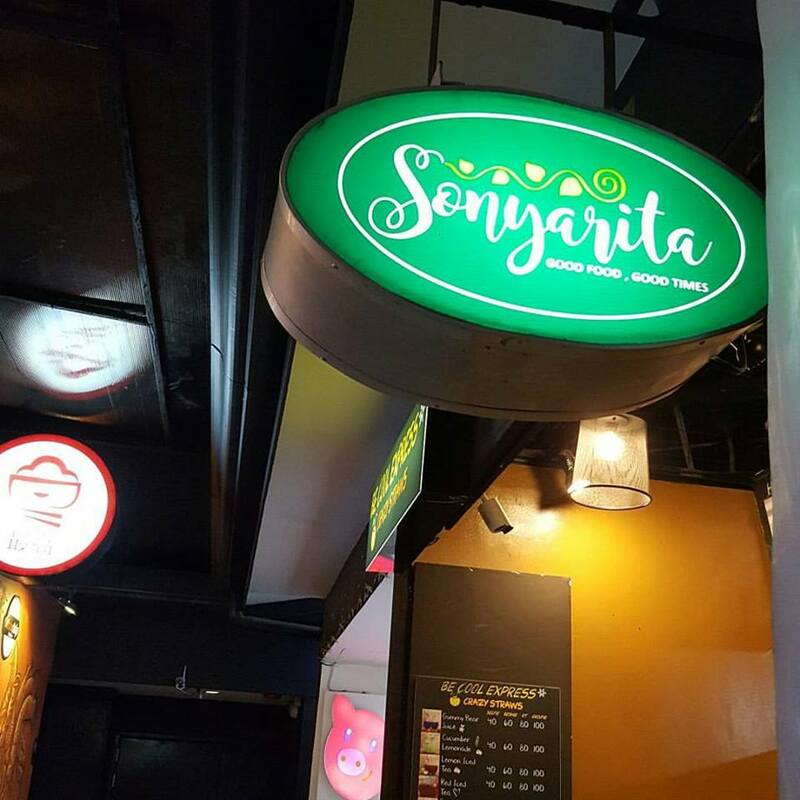 This is the first branch of Sonyarita and I do hope they open a branch at Quezon City soon. 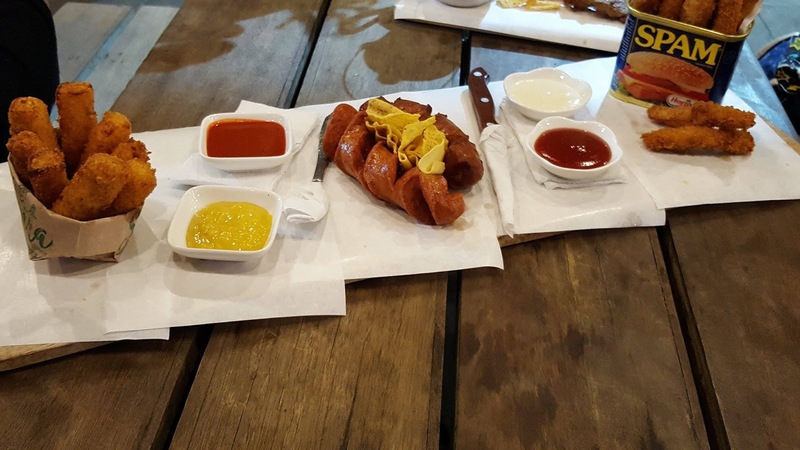 The owner made sure that every ingredient used is high quality. This is one of my favorites and would definitely go back for this. Spam and fries has always been my comfort food so combining them together makes one tasty treat. This can also be enjoyed by kids as it is not too salty and generous amount of spam was used. The beef is tender and easy to cut and drizzled with the flavorful gravy. The rice is in a small casserole, the serving is good for two if you and your companion are not that hungry. 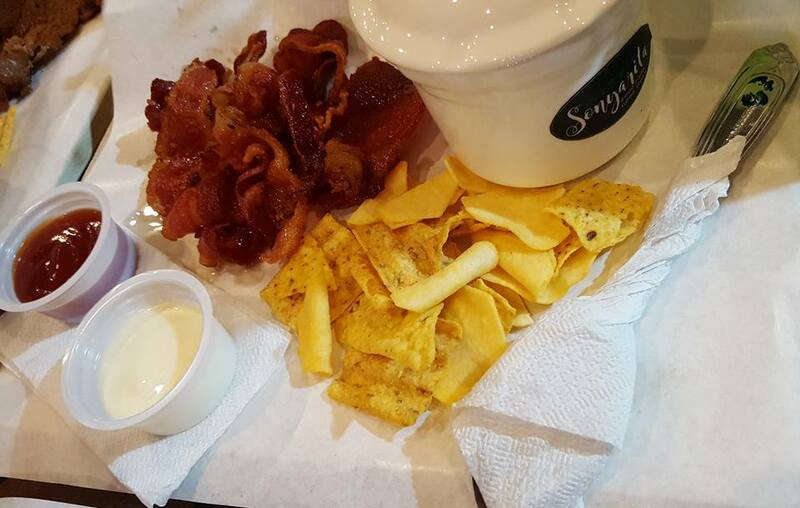 The Boodle platter consists of Mozarella pops, Cheddar cheese fries and Spam sticks. Cheddar cheese fries combined with the smoky flavor of the sausage becomes one delightful surprise. The Mozarella pops can be a bit overwhelming on its own that is why I combine it with Canadian bacon. The bacon is crisp and not that salty which adds a flavorful punch to the Mozarella pops. Sonyarita offers a selection of refreshing drinks. The first one that I tried is the Cucumber Lemonade, this is ideal for hot summer days. The second drink is the gummy bear that quenched my thirst and this would be hit among kids and millennials as it was not that sweet. 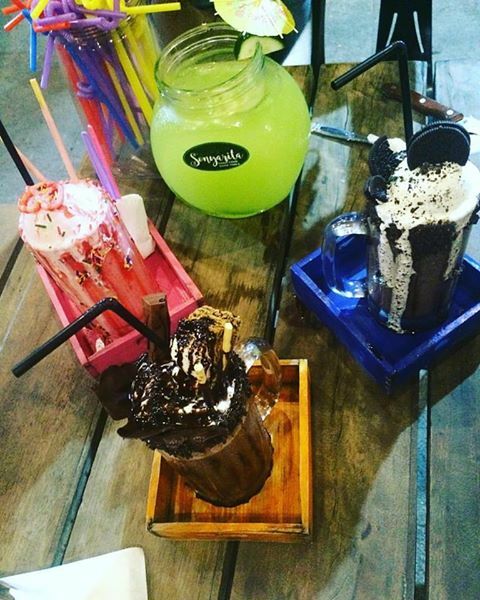 This stall offers Instagram worthy milkshakes. The selection ranges from different chocolates, Oreos, and typical fruit flavors. This dessert did not disappoint on aesthetics . It was eye popping and enticing at the same time. 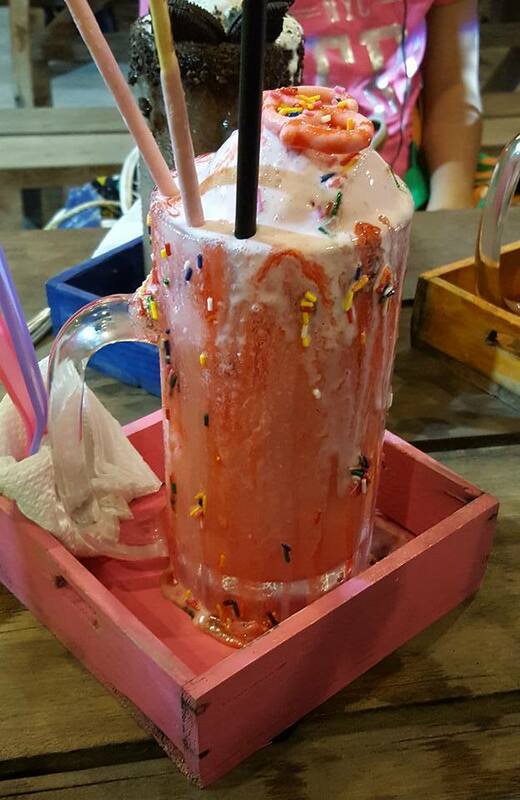 It tasted like the candy Monami, not too sweet and the milk does not overpower the strawberry flavor. 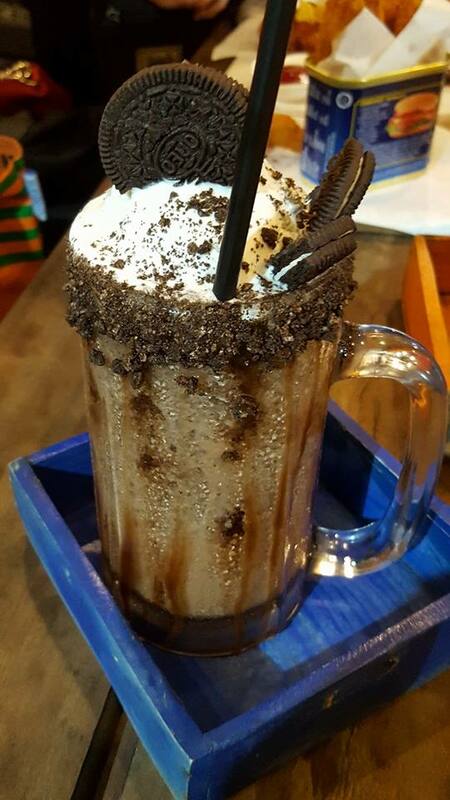 A generous amount of Oreos is used on this drink. It is sweet and satisfying and what I love about it is you can still taste the cookies that is used. This is a tad bit too minimalist on the aesthetics among the three drinks. The appearance is so enticing with generous amounts of three bite-sized chocolates presented on top. 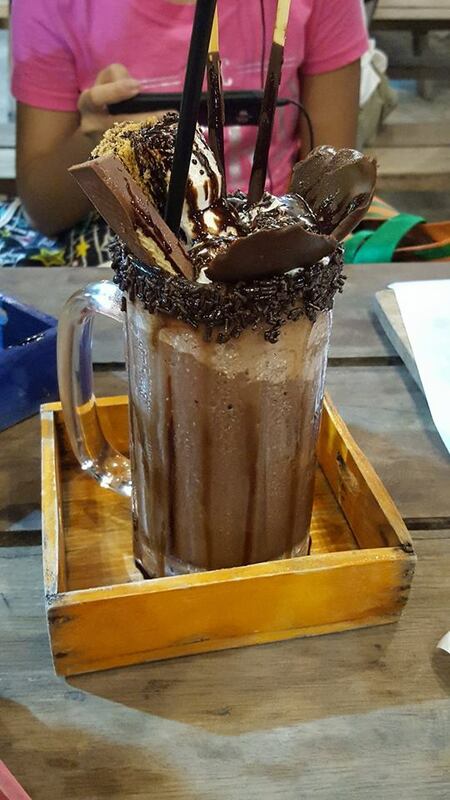 The milkshake itself is not too sweet and complemented the elements that is on top to balance it out. Derived from the owner's name: Ms. Elvira. The stall itself looks like a set of an old western film set . 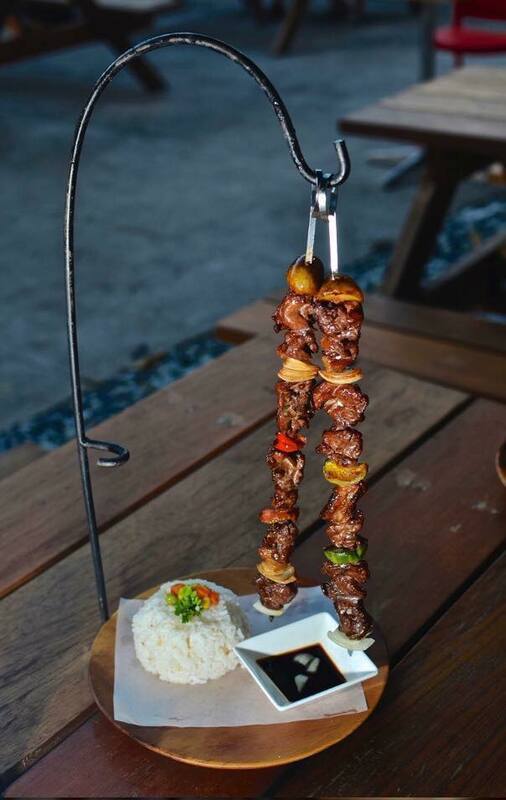 They do have a unique way to serve their barbeque and that is hanging on a steel stick. 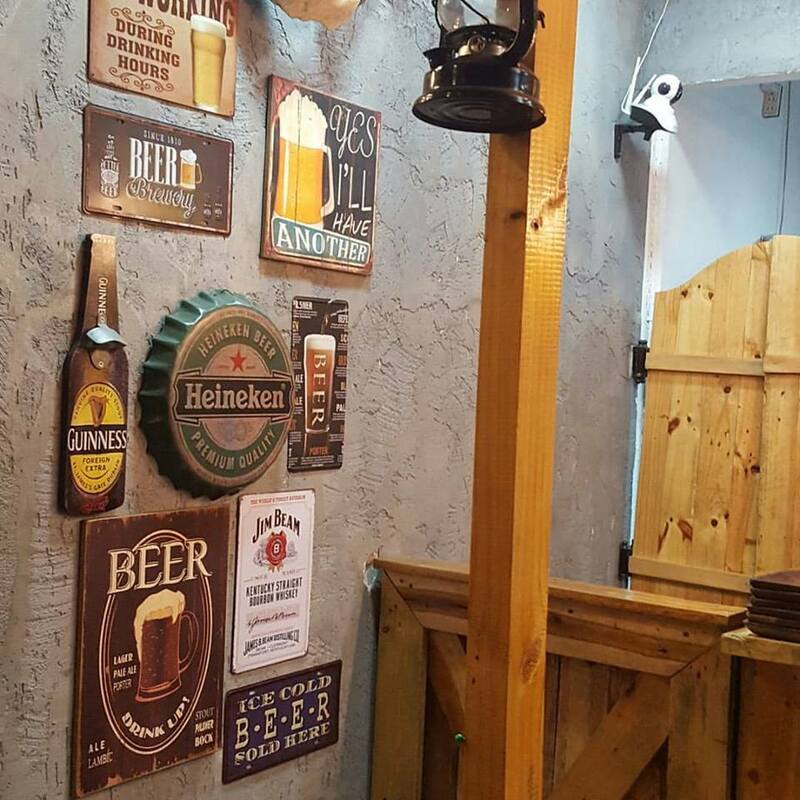 The stall offers a wide range of grilled food for your cravings. 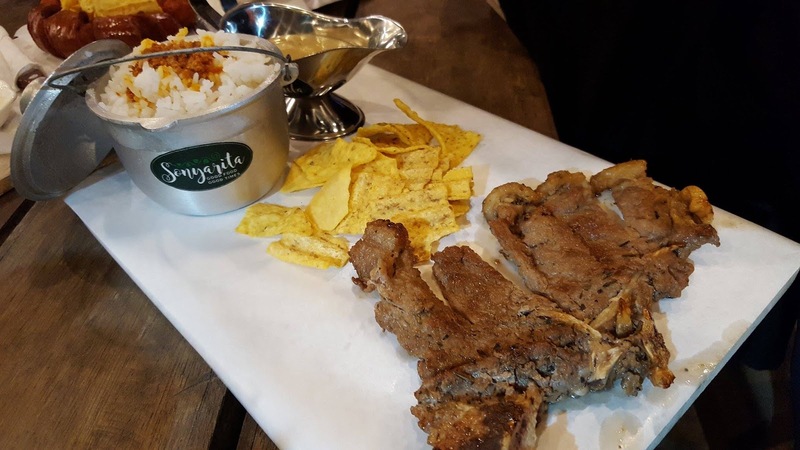 The meat was tender and grilled to perfection, it was a melt in your mouth goodness especially when dipped on their sauce. 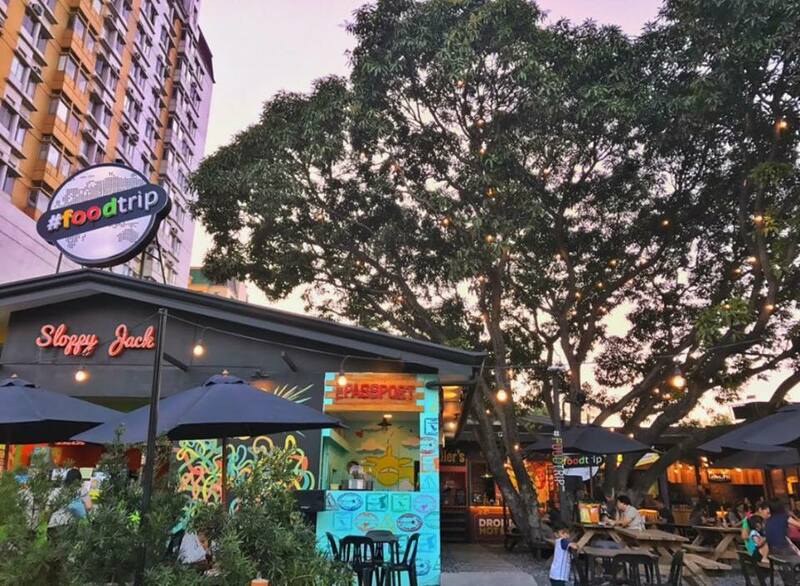 If you are looking for a relaxing place where there's trees and greens and not crowded, then #Foodtrip Marikina is the right spot. It is not your usual-looking foodtruck, but, being unique does not mean it's not good. It's rather spacious, comfortable, and being around nature makes the dining experience better because of the fresh air. 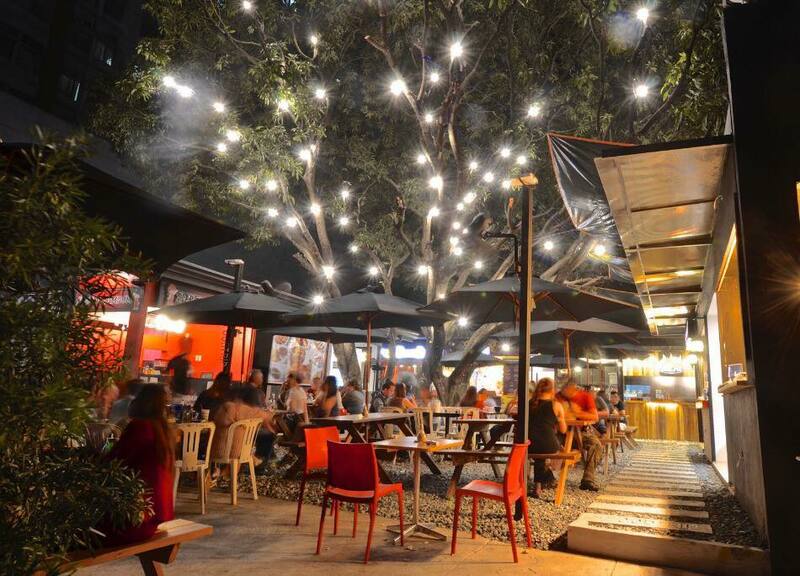 Average priced, wide array of fantastic food will make you want to come back.